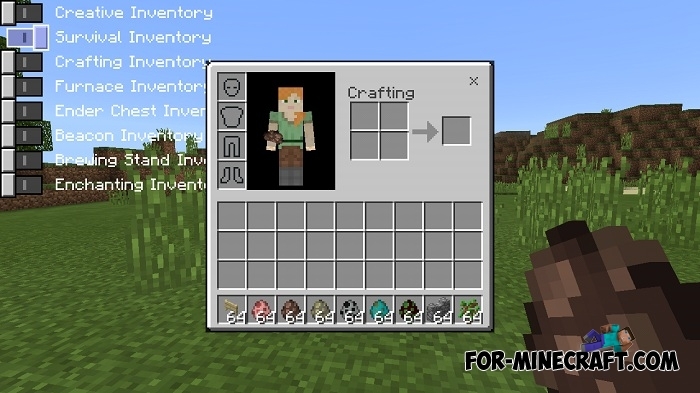 Inventory Tweak is already the second addon for Minecraft PE 1.1, which allows any player to use creative inventory without activating it in the settings. You can say that it's a bit like a cheat, but it's not all features. 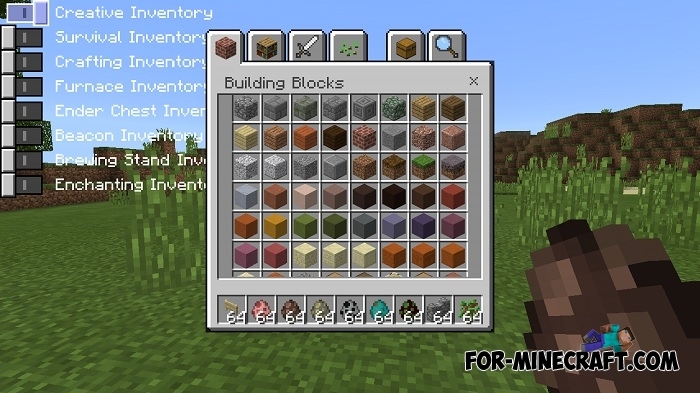 You can also switch between all available inventory at the same time and this does not require changing the game mode. The new interface is more convenient than the first version. All objects are divided into categories. The addon also works on iOS without errors. 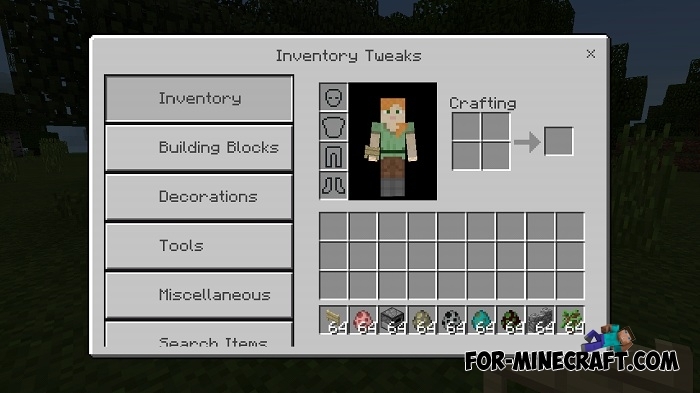 How to use the Inventory Tweak addon? Install the addon and select PC interface. 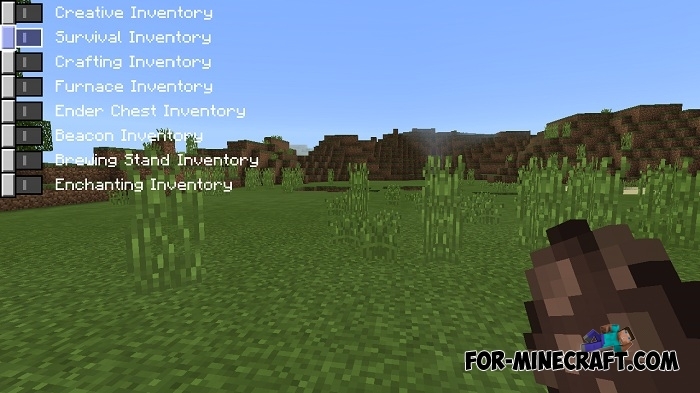 Then open your inventory and look at the left corner of the screen. 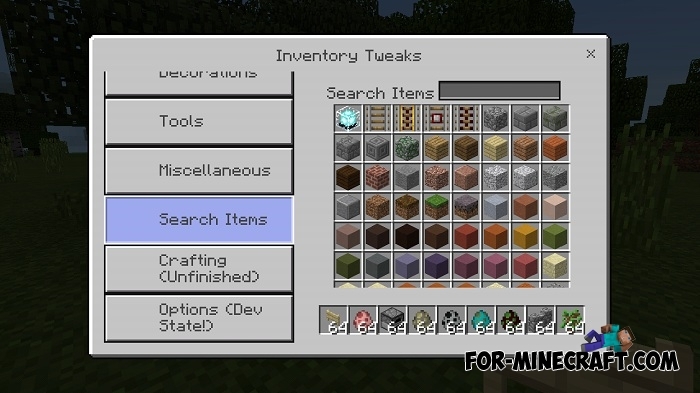 There is an addon interface with which you have access to any inventory. 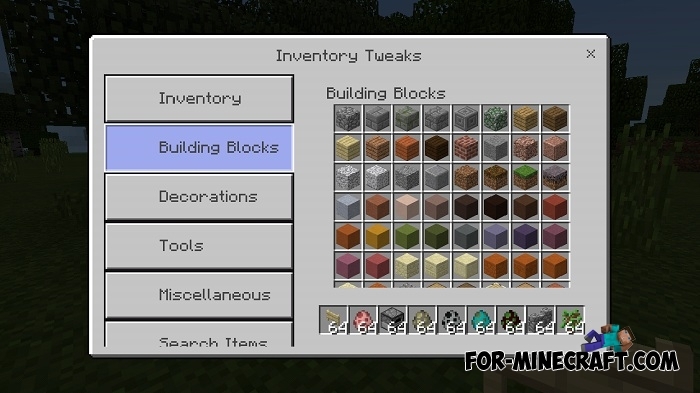 At the moment the addon is in development and the two modes work only. 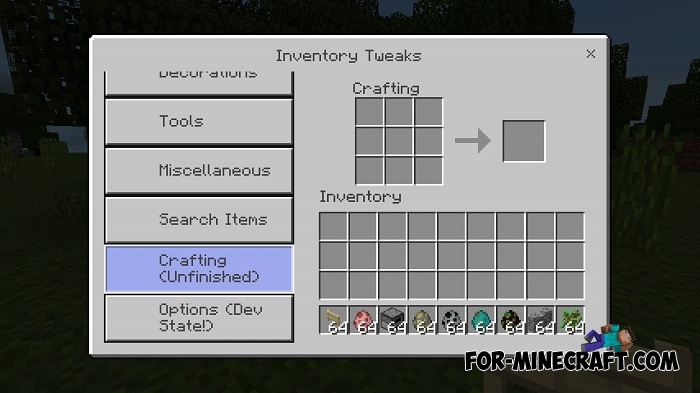 In any case, the addon is something new in inventory modding. When is this is gonna be Updated? Agora posso criar meus maps sem precisar colocar mesa de encantamentos mesa de trabalho e etc..